We are the movers who get straight to the point! Whether you're moving across the the state or, across country we specialize in a stress-free experience. Every move is done with the most amount of efficiency to save you the most. We do our best to maximize our resources to hand you down the savings. Our main focus is that all of our customers experiences get exceeded. All of our team members are professionally trained and properly equipped to handle your request. No matter how big or small the job might be. Call today for a free no-obligation quote! We love what we do and it shows in our work with a smile the entire scope of the job from start to finish. 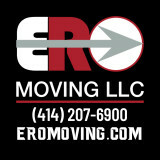 You'll be happy to have called the Ero team to assist you on your next move! Mr. Mover was started in Milwaukee, WI in 1995 by Craig Nettesheim. Mr. Mover is an intrastate mover, which means we only move within the state of Wisconsin. 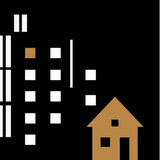 We specialize in residential and small commercial Moves. Nick Meier began working for Craig as a mover. He advanced through the company until managing it for Craig, and shortly thereafter purchased the company, and now proudly owns and manages Mr. Mover! Before starting Mr. Mover, Craig Nettesheim worked for a major moving company in Milwaukee. His last position was Vice President of sales. While in that position Craig recognized a need in the market for a local mover who could supply a firm price before the move begins and supply a high quality service at a low cost. Working with one of the finest computer programmers in the industry, Craig developed a computerized pricing and dispatch system. This system allows Mr. 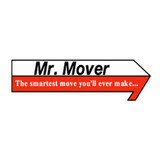 Mover to quote a move over the phone by inputting a list of items the customer wants moved. With a confirmation letter sent by Mr. Mover, the customer can feel confident that there will be no surprises on moving day. The customer simply fills out an inventory sheet of the items they want Mr. Mover to handle and the computer does the rest. It normally take less than 5 minutes to receive their firm price. Making changes to the inventory is just as simple. Items can be added or subtracted from the list right up until move day. Since all costs for insurance is included in Mr. Mover’s firm price, we are very careful to ensure that all your possessions arrive in the same manner as they left. We do this by padding all furniture in the home before moving and not unpadding until it arrives safely in the new home. The same care is taken to protect the buildings we move to and from. All trucks carry floor runners, doorway protectors, and plywood to ensure that the floors and walls are not damaged. If you're searching for a Milwaukee moving company to provide a seamless and stress-free moving experience, look no further. 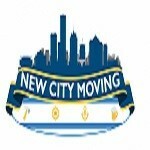 New City Moving is the Midwest's most trusted provider for local moving, loading, and packing services. Our expert moving coordinators are trained in all areas of residential and commercial moving, and our experienced moving crews treat every item as if it were their own. We are proud to be Milwaukee movers, and we look forward to serving you! Call or click for your free estimate. LifeMoves is the premier concierge move management service assisting clients moving to and from the Greater Milwaukee, WI and Tucson, AZ areas. LifeMoves offers complete, personalized move management services. From pre-planning and facilitating your moving and packing, to deep-cleaning your new home before move-in, to unpacking, home staging and clean up—we work to fulfill your vision for your new house and we don't stop until it feels like home. We take a one-on-one approach with our clients at every step throughout the moving process to ensure an effortless moving experience. We work to ensure everything is in its place in a timely fashion so you can continue to live life with little interruption. Milwaukee Pool Table Movers founded locally in 1999 with the pool table professionals from all around Milwaukee, a 40 year old family tradition with the best pool table service. Delivering our best at any service we perform on your billiard table, making the job right once without any flaws with reliability and confidence bearing us and our customers assurance with an exclusive 1 year premium service guarantee. Relocating to a new house is stressful enough without having to worry about the logistics of an entire move. So when it comes to the heavy-lifting (literally), leave it to the professionals — professional movers, that is. Experienced Waldo, WI moving companies consist of expert movers and packers who can efficiently pack, move and assemble your Waldo belongings to ensure that you get off to a good start in your new home!